Don't know where to start? Learn the basics of needlepoint and get help with your first canvas. Starting a new project? 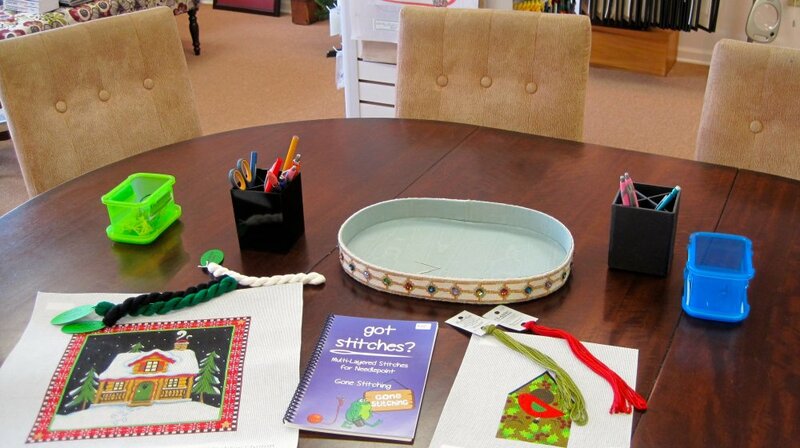 Join these informal canvas embellishment classes and get help picking threads and stitches for your new canvas. Stuck on a current project? Let us help you bring new life to your canvas with some new ideas and clever stitch suggestions.